Biotin is a water-soluble B7 vitamin that can be taken orally through food or supplementation. Biotin is also found in many health and beauty products for topical use in order to achieve a multitude of benefits. Benefits of biotin improve the body both internally and externally by keeping it metabolized, energized in addition to improving the keratin infrastructure leaving the hair, skin and nails in healthy condition. Below are some of the main benefits of biotin and how it can improve your health, appearance and overall well-being. 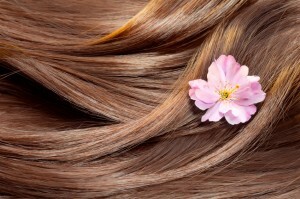 There is much debate over whether or not biotin actually encourages hair growth. While there is still no scientific evidence to prove this, there is evidence that shows a deficiency in biotin can lead to hair loss. While the relationship between biotin and hair growth is still undetermined, biotin does serve as an important vitamin for hair health. Biotin encourages hair thickness, fullness and strength and it has been shown to improve the health of the hair follicles and roots. Biotin improves hair strength and its resistance to breakage because of its ability to increase its elasticity. Since hair is determined by the follicle, this improvement will ultimately assist in producing healthier hair. Biotin can be taken orally via supplementation or it can be applied topically to achieve hair health benefits. Some topical treatments that are available include biotin shampoos as well as biotin conditioners. These products allow biotin to work from the outside by penetrating through the scalp and hair follicles ultimately resulting in healthier hair. Evidence has shown that biotin is able to be absorbed on people with normal/healthy skin as well as on those who have scaly and itchy skin conditions such as atopic dermatitis. B-complex vitamins are vital for healthy skin and since biotin is also known as vitamin B7, it not only improves the condition of the hair, but it can also benefit the skin as well. In the rare circumstance that one finds themselves to be biotin deficient, it is not uncommon notice extremely dry or sometimes scaly skin around the mouth. Biotin is also a great way to keep the skin replenished with moisture and well hydrated and can benefit those with certain skin conditions. Biotin can be taken orally to help infants who suffer from cradle cap and it can also assist adults who suffer from seborrheic dermatitis which is when itchy, scaly patches form on the skin. However, when the body contains a substantial amount of biotin it encourages the skin cells renewal process, resulting in improved skin texture and health. According to the University of Maryland Medical Center, biotin is a recommended vitamin for those who struggle with weak and brittle nails or cuticles. Although there is still further research that needs to be conducted to provide concrete evidence, several small studies have shown biotins capability to increase nail thickness while strengthening the cuticle. Biotin is a key vitamin for the metabolic system as it helps the body process protein, fat and carbohydrates. By breaking down protein, fat and carbohydrates into glucose, biotin helps the body with energy production providing fuel to the body’s cells. As a result, in its contribution to the production of glucose, biotin also does its job by keeping blood sugar leveled and it is possible for one to lower their blood sugar by increasing their biotin intake. Biotin supplementation along with other treatments are even recommended to some patients with diabetes. Note: Consult your physician before beginning any biotin supplementation.